The reader should be acquainted with the early literature of the Judeo-Christian tradition in order to follow the meaning of this article. Some knowledge of the terminology and beliefs is necessary to make sense of the following content. Understanding this cosmology and spiritual mechanics will convince the reasonable person beyond any doubt that the Christian scripture is not meant to be taken literally, but that Jesus taught in symbolism and allegory. The religious theory is that evil, in the form of sins or demons (spirits), is a kind of ethereal or gaseous substance. It can be transferred from humans to animals or other humans through certain ritual actions, such as an exorcism (Matthew 8:28 – 34) or killing and eating a sacrificial victim, i.e., the Paschal Lamb. The sacrifice might also appease a god, being proof that its worshippers are willing to sacrifice something valuable to gain their god’s approval. The god may reward its worshippers by removing sin from their souls and evil from their lives for a period. The soul is an immortal gaseous substance that resides in the human body and produces consciousness and volition. Clean souls are chosen by God to enter the spiritual paradise of Heaven for eternity once the body dies, whereas souls weighed down by sin are rejected by God and sent to the spiritual torture chamber, Hell, to be punished forever by its lord, the devil. The religious explanation for Jesus’ birth is that he was a sacrifice for the sins of humankind. Jesus, being half human and half God, was the perfect person, the perfect soul, and thus the perfect sacrifice. In the “Old Testament” sins were atoned for by the sacrifice of animals. The better the animal, the better the sacrifice. In the “New Testament” sins were atoned for by the sacrifice of Jesus Christ. Christians consume the body and blood of Jesus in the rite of the Eucharist, called Communion, as spiritual nourishment for their souls. In Genesis, the first book of the Holy Bible, Adam was the first man. He was a man made of the earth, a natural man, the human being who was born original and pure in the garden or paradise of life (somewhere in the Near East). The human being disobeyed one law of the good Creator of life, and he thereby caused his own disharmony and disorder. The tree of knowledge of good and evil was at the center of the garden and to eat of the tree of knowledge would bring death. The devil, the embodiment of evil, was symbolized by the serpent. The deceitful serpent convinced Adam’s wife, Eve, that the fruit of the tree of knoweldge would bring wisdom, not death, so Eve ate and fed some to her husband Adam. They were banished from the garden so they might not eat of the tree of life, knowing good and evil, and live forever. “He (God) drove the man out, and stationed east of the Garden of Eden the Cherubim and the fiery ever-turning sword, to guard the way to the tree of life.” Thus all mankind toils to live and suffers even to give birth. As Adam was the first man, all men are the sons of God (John 2:12), but Jesus was God’s only begotten son (John 1:18), the “second Adam” or “last Adam.” That is, Adam was earthly and caused mankind’s fall from grace, and Jesus was spiritual or heavenly, and offered a way of return back to heaven (Corinthians 15:35-58). Not only is heaven paradise, it is also the garden where the tree of life offers the leaves of redemption and the fruit of immortality (Genesis. 3:22-24 and Revelations 22:1-2). Jesus allowed – or caused – himself to be crucified in order to make a statement to the world that he believed 100% in his faith. He attempted to communicate publicly that his faith, or world-view, was absolutely true, and any contrary world-view was false. 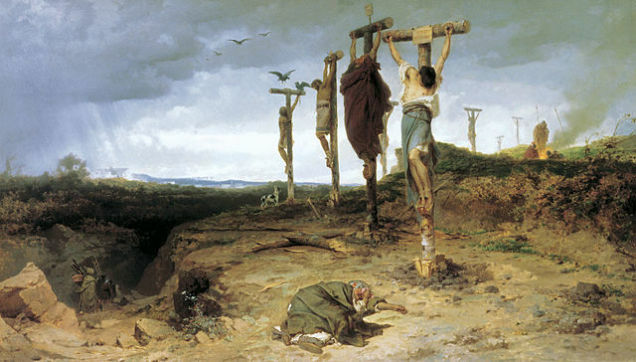 Thus Jesus was crucified, and in so doing, he offered a faith in himself as savior and lord, which saves the soul of the believer from sin, making it good. A “saved” or “good” soul is a holy and happy soul. This holy happiness is the ultimate goal. Jesus came to sacrifice his perfect life in order to form the religious doctrine which would renew people’s souls and perpetuate the Godly way of life. His teachings of love, compassion, community, poverty, charity and meditation are meant to lead the believer to heaven. He is promised to return in order to establish the final kingdom of earth, the good kingdom under God and Christ, called the New Jerusalem. As messiah, Jesus was expected to be the prophesied King of the Jews and savior of mankind. Jesus was considered by some to be a valuable good. Healthy calves and goats (the ‘scapegoat’) in Toric times made suitable sacrifices to God to purify sin and redeem the sacrificer to holiness. So the perfect first-born of God might make the ultimate sacrificial scapegoat to purify or redeem the whole of mankind from the sin it had inherited from the first man, Adam (Hebrews 9:26, 10:10). Jesus, being the perfect man, was given to mankind by God only to be given back as a ransom for salvation (I Timothy 2:6). Jesus was crucified so that he would become the messiah. The First Testament is admonished by the Second Testament, for the sacrifice of beasts does not remove sin, but the sacrifice of the human begotten Son of God does remove sin (Hebrews 9:26, 10:10). Jesus purified Adam’s sin and gave all mankind the second chance to obey God and live in heaven, and to live immortal. But only those who believe in Jesus take this opportunity and benefit from it (John 3). Jesus is to come to earth a second time to judge each person individually, living or dead, on their obedience to godly laws. Those who have obeyed shall be rewarded with eternal life. Those who did not obey shall burn in the fire of hell. 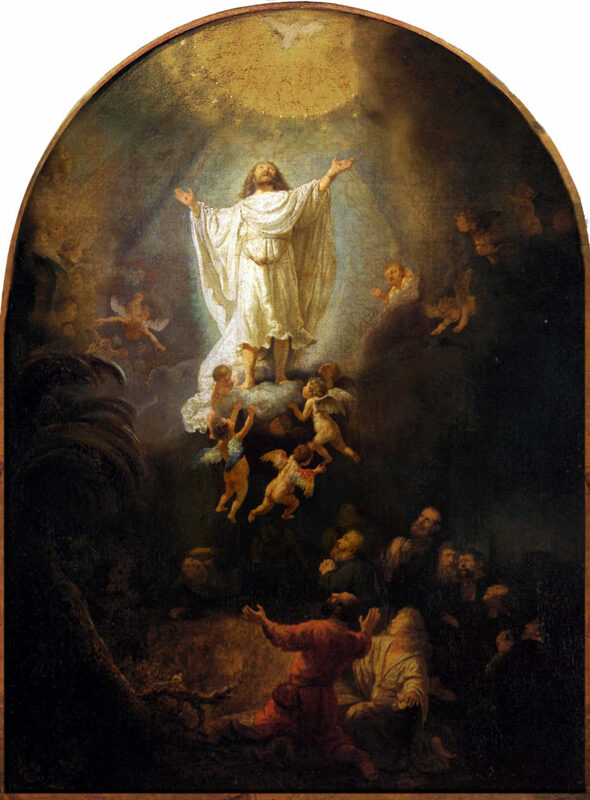 Jesus’ resurrection from death is traditionally regarded as proof of the afterlife, and of Jesus’ authenticity as the Son and Word of God (John 3, 5 and 6). The afterlife is, effectively, the period of divine justice, where the soul is judged according to its actions in its earthly life, and punished or rewarded accordingly. Proof of the afterlife, therefore, is proof of the doctrine of real future reward and punishment for behavior, a strong incentive to learn right and wrong and to practice the right. As Christ, Jesus had to represent Christ in all aspects. The power of Christ is the miracle of the perpetuation of life. Cells, organism, families, and whole communities or species die upon the earth, but life goes on. Offspring are produced, and life begins anew from the elements of nature. Thus the Body of Christ is immortal and conquers death with rebirth. Jesus preached a new law, declared himself the Son of God (John 19:6-7), and it was declared by his disciples that three days and three nights after his public crucifixion he rose from the grave to prove the immortality of the soul and the authenticity and power of the Judeo-Christian God. He was therefore king of the dead as well as the living (Romans 14:9). Jesus’ law includes five of Moses’ ten commandments: You shall not murder, you shall not commit adultery, you shall not steal, you shall not give false testimony, and honor your father and mother. His law demands “Love thy neighbor as thyself” as commanded in Leviticus. He prescribes charity, poverty, and service to Christ. This is what Jesus requires to get eternal life (Matthew 19:16-21). He also teaches mercy and forgiveness (Matthew 18:34-35). 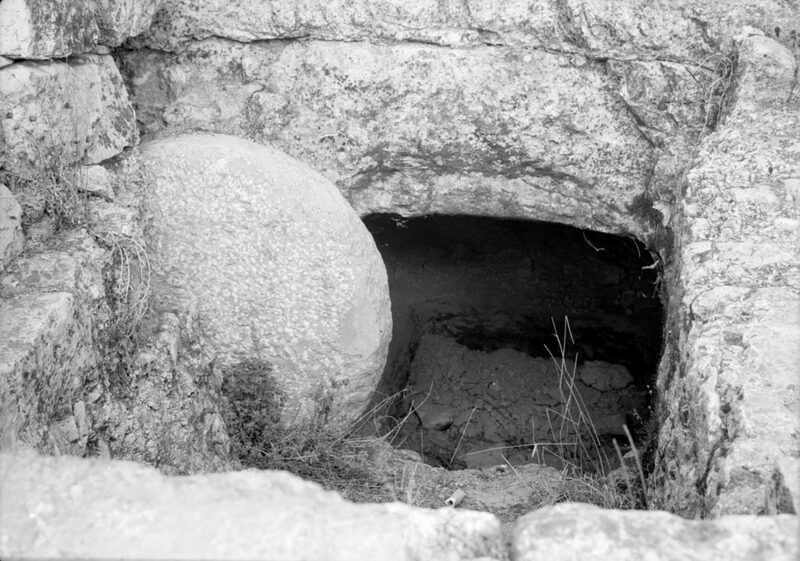 Christ’s mortal body did not rise from the dead. For the Jews and Gentiles to believe in Christ, they needed to understand his doctrine, so they were taught only in parables. Jesus’ life and teachings represent a middle doctrine between the ignorance of the day and a complete true foundation of wisdom or absolute reality. The witnesses to Christ’s resurrection were his apostles and the two Marys, who had helped in the planning of the coming of the Messiah. Jesus never wrote a single word for his disciples. Christians are guided by the Holy Spirit. Why did Jesus ascend to Heaven? The word “heaven” is used for several different meanings. In this context, however, heaven does not refer to paradise, or to the place of the afterlife, or to the cosmos. Jesus, in “spirit,” ascended to the heaven, or Kingdom of God, of the mind and heart (Luke 17:21). 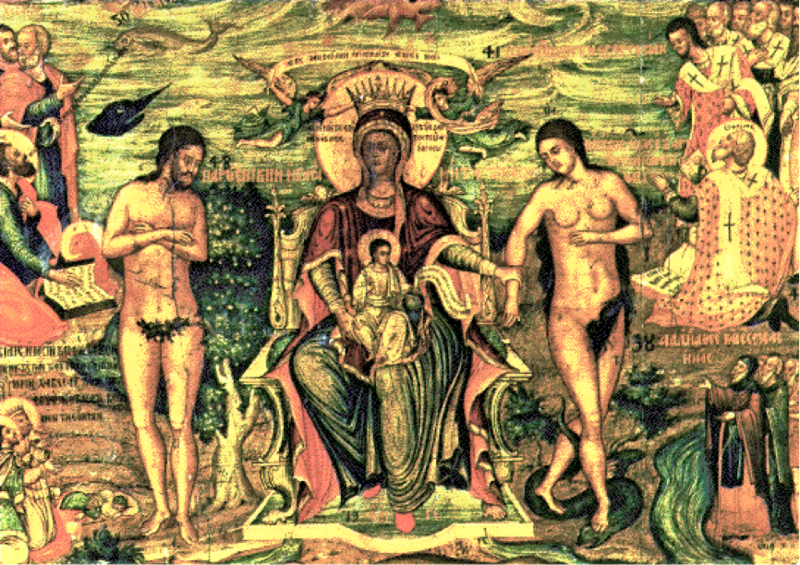 The Holy Trinity is the beginning of the absolute law of the world-view of the mind of man. Jesus’ first coming made Jesus a model of the Body of Christ, insofar as the cycle of divine and earthly birth, life, death, and rebirth is concerned. Attention on this miracle is a source of life – of healing and power – for each human being. Jesus helped to focus attention on this source of life. A person focused on the source of life will comprehend the immortality of the Body of Christ, his or her own part, or oneness with, the body of Christ, and subsequently, his or her own immortality as part of – and the whole of – the Body of Christ. This is the greatest happiness. Last time he came to die. He died for the sins of mankind. Next time he does not come to die. He comes to live forever as Lord, and he will judge the living and the dead, measuring sin and righteousness. The wicked soul will burn and the righteous will rule with Christ in the heavenly kingdom. One should be familiar with The Apocalypse of John, also known as The Book of Revelation, to judge the following Christian symbolism. 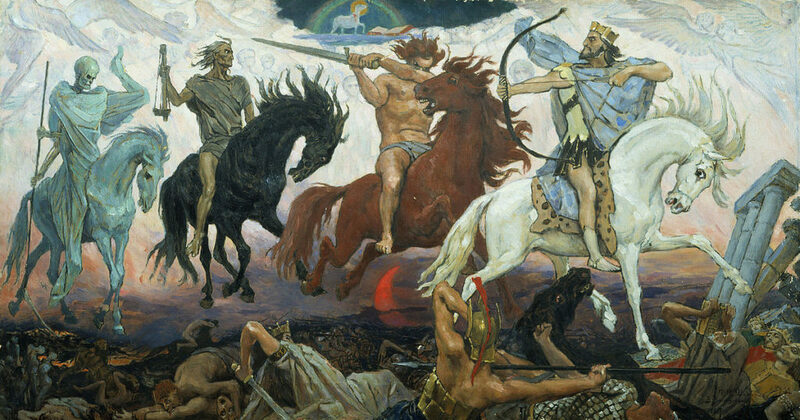 Armageddon is a personal and a social spiritual war. The Beast represents the unfaithful and all that is wicked in each of us. Babylon the Whore is the city ruled by the Beast. The Lamb is the name of the messiah and it represents the faithful and the pure. 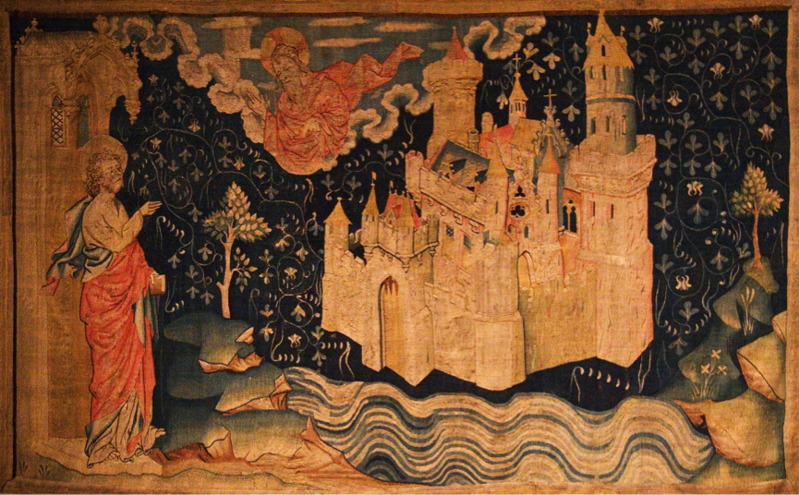 New Jerusalem is the city ruled by the Lamb. Each person experiences his own inner struggles of will between doing what is right and doing what might wrongly benefit or please oneself. Those who succeed in righteousness are the flock of the Lamb, while those who fail are the captives of the Beast. There is a universal resurrection, called the ‘first death,’ in which all are spiritualized. The second resurrection or ‘second death’ is eternal, and is attained only by those whose names are written in the book of life. The first death is purification for everyone, the sixth seal of the spirit; the second death is the final enlightenment, the seventh seal of the spirit, in which death is conquered. Death exists not for a soul in the seventh seal, for the soul identifies with the eternal One, and the immortal Good. Being born and dying generation after generation, it is one being, God Almighty, which sees through the eyes of all living beings. The first death is purification, the sacrifice of the ego or ‘self,’ for the direct experience of identification with the immortal holy soul. 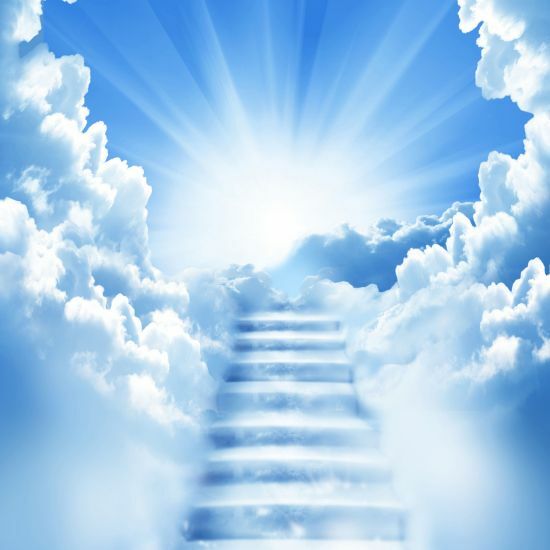 The second death is the spiritual ascension to heaven. It is the experience of identification not only as an immortal good soul within the One, but as the One, itself. This unity of the observer and the observed observes itself both eternally, as the immortal good soul, and moment by moment in time, as a mortal. If this mystical interpretation of Christian scripture seems difficult to understand or unbelievable, it should be contrasted with a literal explanation of The Book of Revelation. It will be clear that a literal interpretation is impossible. One may reject it all, simply live by secular scientific morality, and seek enlightenment elsewhere, but one will find truth and illumination in the Christian religion by employing a critical, rather than a literal, interpretation of scripture. We can only each one of us do our best to understand sacred literature through proper living, research, critical thinking and contemplation.